Thank you for waiting for my next status update. I am currently experiencing an unusually long lull in status updates. Your time is very important to me. 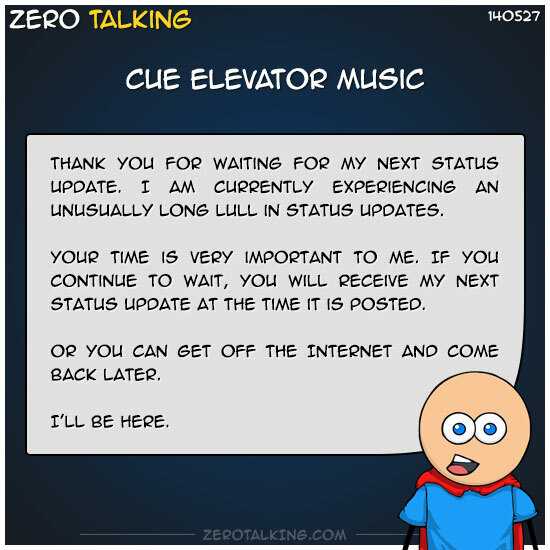 If you continue to wait, you will receive my next status update at the time it is posted. Or you can get off the Internet and come back later.